Shake Shack is once again branching out from its signature menu with the debut of a new LTO: the Carpetbagger Burger. 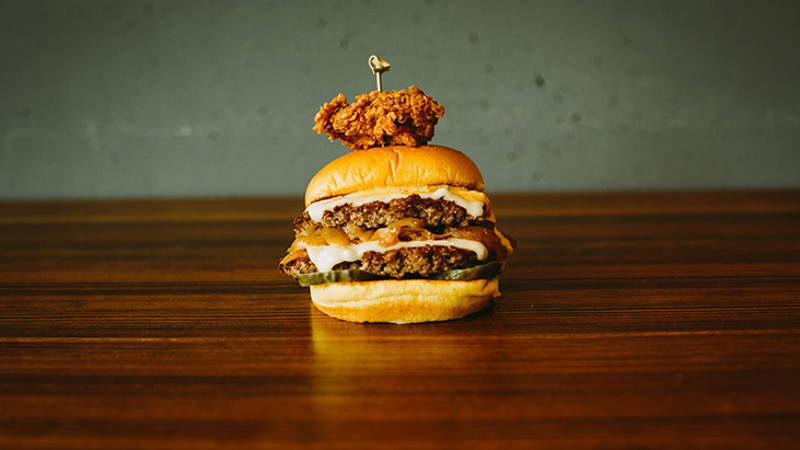 Created in collaboration with restaurateur and chef Ford Fry, the burger is a riff on the decadent carpetbagger steak dish, the company said. It will feature two beef patties topped with cheese, smoked and caramelized onions, pickles, Comeback sauce and a fried oyster. The LTO, which will be sold for one day only at a single Shake Shack unit in Atlanta, Ga., will test customers’ willingness to pay a higher premium for one of the concept’s limited-edition items. At $8.50, it runs $2 to $3 more than most burgers on the Shake Shack menu. Just 200 Carpetbagger Burgers will be served during the LTO event on Sept. 19, the company said. Known for a streamlined menu without many frills, Shake Shack has recently been experimenting with new offerings. Earlier this summer, it introduced such LTOs as The Surf N’ Shack and The Roadside Burger, as well as its first-ever chicken sandwich, The ChickenShack. The chain has seen notable success with recent LTOs, Shake Shack CEO Randy Garutti said on an earnings call in August, including such “overwhelming” guest demand for The ChickenShack that the three Brooklyn, N.Y., locations offering the item ran out of supply in a matter of days.